Are you an organised and experienced administration officer? To be considered for this role it is essential that you have relevant experience and preferably in an adult learning setting. The CPD Administrator is responsible for promoting and providing administration support relating to the delivery of AASW continuing professional development (CPD) objectives and activities including workshops, consultations and major events. The CPD Administrator reports to the CPD Coordinator and works closely across the AASW branch network and the member engagement team, members and stakeholders to deliver professional development programs and services to AASW members. 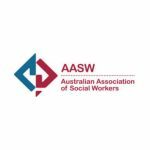 The AASW is committed to equal opportunities in employment and embraces diversity and inclusion in its workforce. We encourage applications from culturally and ethnically diverse communities, particularly those underrepresented in the social work profession including the Aboriginal and Torres Strait Islander communities and people with a disability.To be considered for this role, your application must include your résumé and cover letter which addresses the selection criteria.